Using the Workspace Manager, you can modify, create, delete, rename, and reorder workspaces. You can create a new workspace from an existing one and modify it to suit your needs. 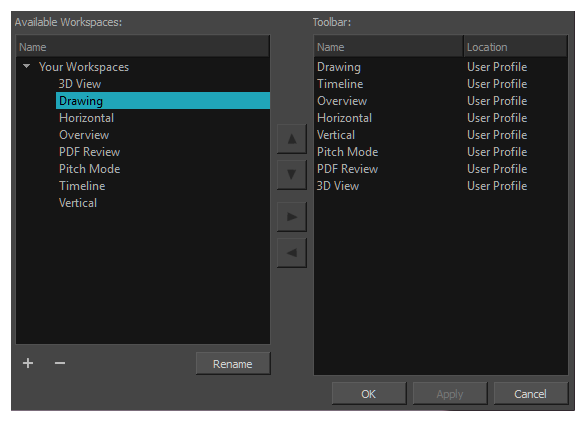 Select the new workspace you created, then click Rename and give it a new name.